Education is about to undergo the same disruption that print, retail, and other sectors have been dealing with for a couple of years. This disruption means a fundamental shift from face-to-face delivery to online education. Not getting my courses online is not an option. Many education providers won’t survive. Government funding can’t be relied on and in any case produces unsustainable businesses. This is the case mainly in New Zealand. Online education may provide sustainable business models moving forward due to lower costs and different economics. Online education means websites that are fundamentally different to standard brochure-style websites. I haven’t got time for much more research on this. I just want to get my stuff online. I definitely don’t want to use a product with feature overkill. And I’m visually aware enough that I want the design side to be a priority. 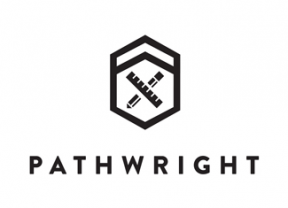 So, I’ve chosen Pathwright over Udemy because it looked cooler and had more of the aesthetic that I want for a web product, more of the Steve Jobs Apple Zen look and feel for lack of a better way of explaining it. I found them in a TechCrunch article and then did a little bit more digging online. But I’ve basically decided. Also, I’ve just switched to Mac after being on windows computers for ever and the site looks great on my Apple gear. Udemy looked too busy. In any case, I’ve got a window of about 6 months to get something online that works. Thanks for the write-up Graeme, and especially for all the great feedback you’ve given us so far. Thanks for the write up Graeme, and thanks especially for all of the great feedback you’ve given us so far.